Our new store is one of the first in the nation to feature FCA’s new design. 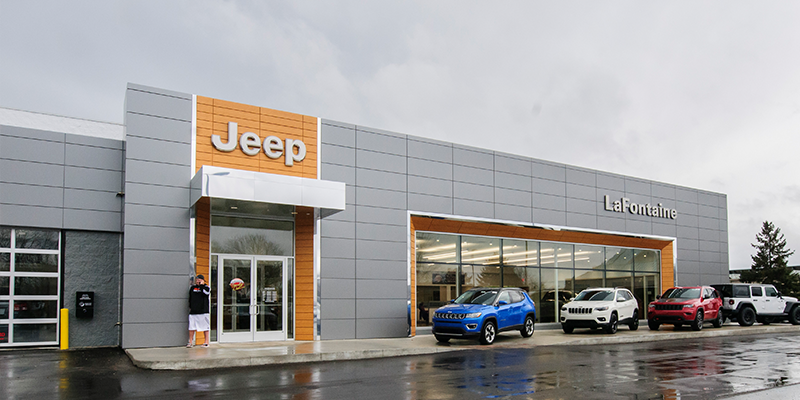 Our new building features a Jeep-exclusive showroom and customer lounge, leaving plenty of room on the other side of the building to showcase the latest and greatest from Chrysler, Dodge and Ram. 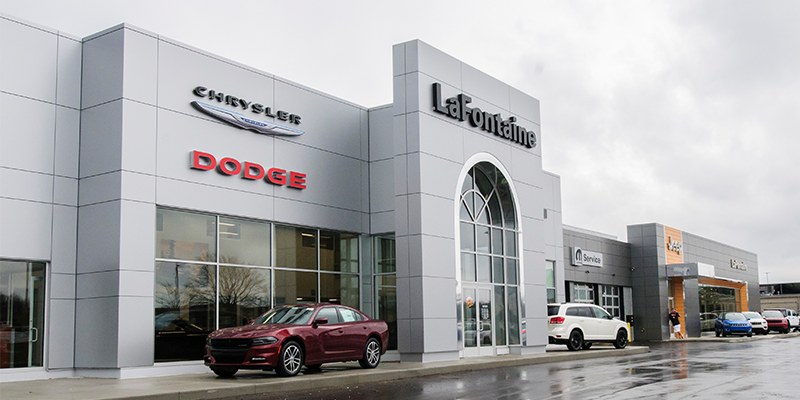 In keeping with LaFontaine’s longstanding commitment to customer service, our store will have 21 service bays and is able to service all makes and models. Fenton, Michigan is one of the closest-knit communities in Michigan. LaFontaine Chrysler Dodge Jeep Ram of Fenton continues to bring the community one step closer. Team Members at LaFontaine Chrysler Dodge Jeep Ram of Fenton are proud to support Justice for Lily an organization that raises money for child abuse awareness programs. Stemming from a personal connection to Lily Lynette, the LaFontaine CDJR Fenton team is passionate about this cause and strives to help raise awareness as well as funds for the organization. For more information about Justice for Lily and to donate, please click here. This is just of one many community activities that LaFontaine Chrysler Dodge Jeep RAM of Fenton participates in. We offer a huge selection of new and used vehicles from which to choose. Come see us for, Chrysler 300, Chrysler Pacifica, Dodge Challenger, Dodge Charger, Dodge Dart, Dodge Durango, Dodge Grand Caravan, Dodge Journey, Jeep Cherokee, Jeep Compass, Jeep Grand Cherokee, Jeep Renegade, Jeep Wrangler, Jeep Wrangler JK, RAM 1500, RAM 2500, RAM 3500, RAM Chassis Cab, RAM ProMaster,RAM ProMaster City, FIAT 124 Spider, FIAT 500, FIAT 500L, and FIAT 500x. Ready for a test drive? Visit our LaFontaine Chrysler Dodge Jeep Ram of Fenton, MI today.